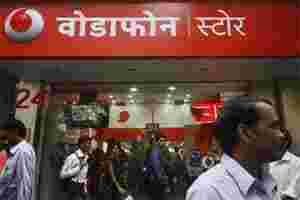 New Delhi: Criticizing the telecom regulator’s proposal for a one-time fee for additional spectrum, Vodafone India Ltd has said it will approach the courts against the move if necessary. The Telecom Regulatory Authority of India (Trai) made the suggestion as part of its recommendations for the National Telecom Policy 2011. “We are optimistic as the policy has a long way to go right now. It has to be cleared by the Telecom Commission and the cabinet first," said T.V. Ramachandran, resident director, regulatory affairs and government relations, at Vodafone. “But if we are faced with no other option then we will have to take legal recourse." A number of the recommendations are not legally tenable under the unified access services licence (UASL), or telecom licence, rules, he said. Mint has reviewed a copy of the letter. Officials at Trai and DoT declined to comment on the matter. On the proposed one-time fee, Ramachandran pointed to clause 19.3 of the UASL, which states that “any additional bandwidth if allotted... would attract additional licence fee as revenue share." He also pointed to UASL’s guidelines of 2003 that states that additional entry fee cannot be charged from operators. The idea of a one-time fee was proposed in 2002 but the Telecom Commission at the time decided against it, Ramachandran said, adding the DoT order of February 2002 shows that additional spectrum was not excess or given free but needed by the telecom sector to carry out operations. Vodafone criticized the regulator for its policy flip-flops. Trai said in 2007 that it may not be legally feasible to impose a one-time charge for additional spectrum as a revenue share agreement was already in place; but in 2010, it recommend a one-time fee, Ramachandran said. He also contested Trai’s pricing methodology, saying it was invented for agricultural productivity and cannot be used for spectrum. On the issue over intra-circle roaming for 3G services, Ramachandran said if a telco has a telecom licence in a particular area it cannot be called a mobile virtual network operator (MVNO) in that area. Trai has argued that roaming agreements on 3G should not be seen as spectrum sharing but as MVNO and be termed illegal. Many experts have labelled Trai’s recommendations as progressive in an environment where the sector is being hit on all sides by various regulatory and competitive hurdles. But proposals for a one-time fee and a licence renewal policy have been criticized as these would lead to higher costs for operators that will likely be transferred to subscribers. Analysts say Trai’s stand on the one-time fee shows the government incorrectly views the telecom sector as a source of income. “The government needs to be consistent and predictable, as far as telecom policy goes, as it is a very capital intensive industry," said a senior analyst with a multinational brokerage in Mumbai. “The new recommendations have brought some positive sentiment to the market but there are still many unanswered questions."